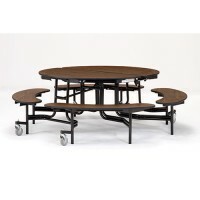 Our Cafeteria Tables offer the durability, high seating capacity and flexible seating options to keep students and employees comfortable and your dining room clean and orderly. 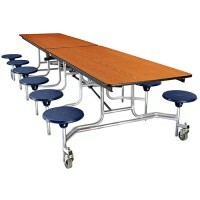 School dances that take place in the cafeteria or plays on a stage in a cafeteria need floor space to be clear and open! 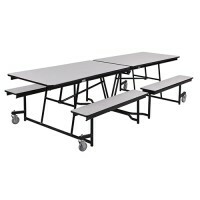 Mobile Cafeteria Tables that Fold make it easy to clear the floor for any school or voting event that your school needs to make room for. 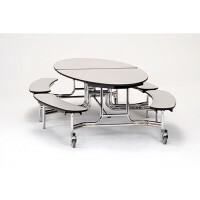 These cafeteria tables even go great in hospitals or business office break rooms! 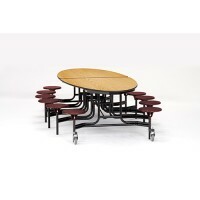 Bench Seat Cafeteria Tables and Attached Stool Cafeteria Tables make your seating options expand and take up very little space! 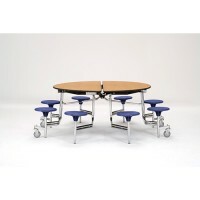 When the seating is attached to the table, you�ll never have to worry about messy chair set ups and people tripping over loose chairs!